Beware of gelatinous sugar (of mania-inducing levels) cleverly disguised as a burger. ...if you've never seen a real burger. To say that it would have you bouncing off the walls would be an understatement. what do we put in our bodies?!! 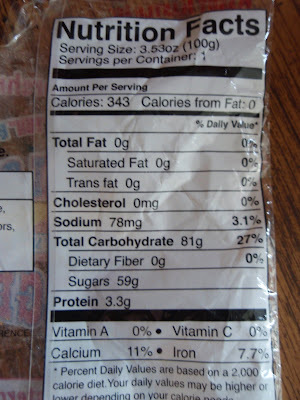 it's crazy how much sugar and preservatives and other cr@p we eat that we don't even know! I was thinking it looked rather 'rubbery' in that first pic! 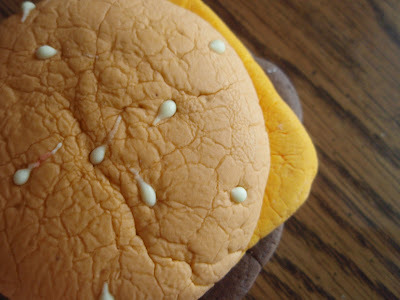 At first I thought it was a cake frosted to look like a burger! At least it's fat free??? Yeah, an analog clock wouldn't cut it on my book. I need to know what the exact time is when I'm running late! Hey no calories from fat! I'd be bouncing off the walls if I ate that! But then again maybe I'd get something done around here! That cheeseburger looks just slightly freaky. Thanks for the PSA. I can't believe it was an edible fake. I think I will pass on trying it that's for sure. Those marshmallow fakes taste awful too! Yeah the clock is a bit over the top, I bet it ticks too. 81 grams of carbs. I can feel my heart hurting. Does look like fun tho. I didn't know if it was real or not looking at it from the top. It kind of looked like there were sperm swimming on the bun. YUCK. Guess we know where my mind was, huh? Wow a marshmellow. Incredible. Ugh! I hope my kids won't find this in their trick or treat bags! I actually like the retro clock. I have an oldfashioned style clock on the wall in my kitchen. It looks like a coffee pot! My watch isn't digital either! I used to work for a car dealership, and I drove a PT cruiser home one night. It was the first, and last time I will ever drive one!! I think PT Cruisers are cute, what's wrong with them? I love marshmallows but mainly toasted and it would seem a waste to toast a marshmallow that has gone to all of the trouble of being made into a burger shape! Holy crap! That's a lot of sugar. PT Cruisers are fugly. I hate them and I hope they disappear from this Earth. I would torch them all if I had the time. Nostalgia, I guess for the clock. Mostly old folks drive those things anyway. I can't get over that marshmallow. You could eat a real burger for that many calories! There's a surprise for you on my blog! Read Saturday's post! I nominate you for consumer watch. It never ceases to amaze me that money has no conscience - that in an effort to make money, companies think that killing their consuming public is really ok.
PT Cruiser - I just never quite understood what people saw in that boxy looking retro type thing. This is weird. Have a wonderful Sunday! 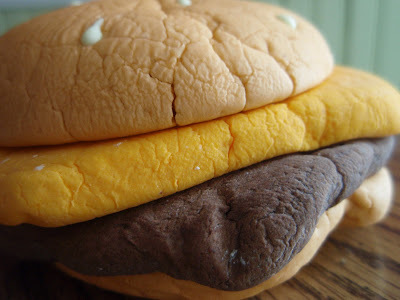 It looks more like a burger than a marshmellow, not very tempting to bite in though. I like the looks of the analog clock but in practice prefer the exactness of the digital one. I'm so old that I just "know" what time it is glancing at the analog clock. My kids, raised in an era with digital clocks everywhere, don't feel the same connection, but at least they can use the analog watches I buy them. 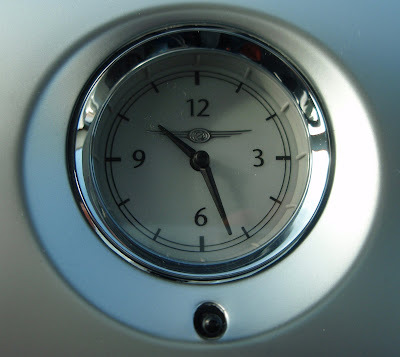 My hubby's car is 30 years old, and the analog clock works perfectly. Mine's only 12, and I have to think about the digital. At least it's good for telling me how much time has elapsed. From a fellow southerner, but still in the south, I left you an award. Hope you will visit my site and pick it up. Love your recipes, etc. We had a PT Cruiser as a rental once, didnt like it either. Have you seen that post by the nutritionist that ahs had the same Mc D's hamburger for 10 plus years, with no decomposition at all. She stores itin a plastic box, not in a refrig. EEE gats. Those sugary little hamburgers do crack me up. Kids will eat the darndest things .. you know, who cares if it looks like a hamburger as long as it is packed with sugar. For some reason I love marshmallows, but I draw the line at marshmallows shaped like stuff-they always disappoint. I just happened to see a car today that's uglier than the PT Cruiser...the new Ford Flex...yuck. I thought it looked like one of those gummy candy burgers. It is cute but a killer. Haha, that's a crazy sugar load!!!! Don't know that I'd want to try it though, looks a little scary. Oh, I'm so sorry you had to even sit in a PT Cruiser, I dislike them too!!! i guess since the car is suppose to be old school they needed to put an old school clock in the car too? i wouldn't eat that marshmallow burger now but if i was a kid i would have been all over it! EEK! I love stuff that doesn't look like what it really is! Especially when it's actually sweet when you bite into it! Sweet, sweet poison. I've seen those burgers around - that calorie count is crazy! I'd rather eat a real burger. My kids just got some gummies that were similar. I just can't bring myself to try a milky or opaque looking gummy. It's just not right. I feel the same way about mallows. I thought something diddn't exactly look like it should've. That marshmallow burger is fascinating yet disturbingly... wrong. Don't suppose it's nutritionally much worse than any other marshmallow though.